Annabelle is the middle child. Her younger sister is ten - loving, incapable of lying, and worried. Her older brother can drive - and he's often out of the house. Her father is a Sherlock Holmes fan who often loses himself in his books. And her mother is a hoarder, but nobody talks about it. Annabelle's family just lives with it. There are stacks of useless things sorted according to one of her mother's systems all over their house, and Annabelle is petrified to think any of her friends might ever see what their real lives are like, so she never invites her friends over or tells them anything about her family's problems. It's like if they don't talk about it, maybe the problem doesn't really exist . . . even if it's everywhere they look. 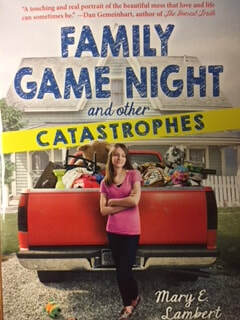 This is a great book, especially for readers - or friends of readers - who are dealing with any type of family situation in which they feel like they aren't "normal" compared to others, even if the situation isn't hoarding. There is a lot of family conflict depicted in the book, which might also be reassuring for readers who are trying to handle situations that are complex. The protagonist makes mistakes, and instead of the book simply being about a response to her mother's problems, it's more fully developed because of it. The sibling relationships are realistically drawn, especially Annabelle's relationship with Leslie, her younger sister. 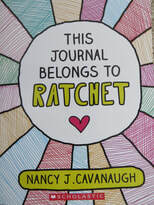 There is a surprising degree of humor in this book about a serious topic, which also makes it more endearing to readers. The resolution is a little too rushed, but for an audience of this age, the story is both entertaining and educational - reminding people to show grace to each other, and potentially opening readers' minds about the different ways families live and interact with each other. "She was born with a conscience the size of Alaska. Sometimes I wonder how she doesn't collapse under the weight of it. Personally, I think Jiminy Cricket is an awesome conscience. He's small. Portable. Easy to squash. I think most of us have a conscience that's sized something like an insect. But every now and then, a Leslie is born, someone who makes it a little harder for the rest of us to squash our crickets."